Just Price Dropped! 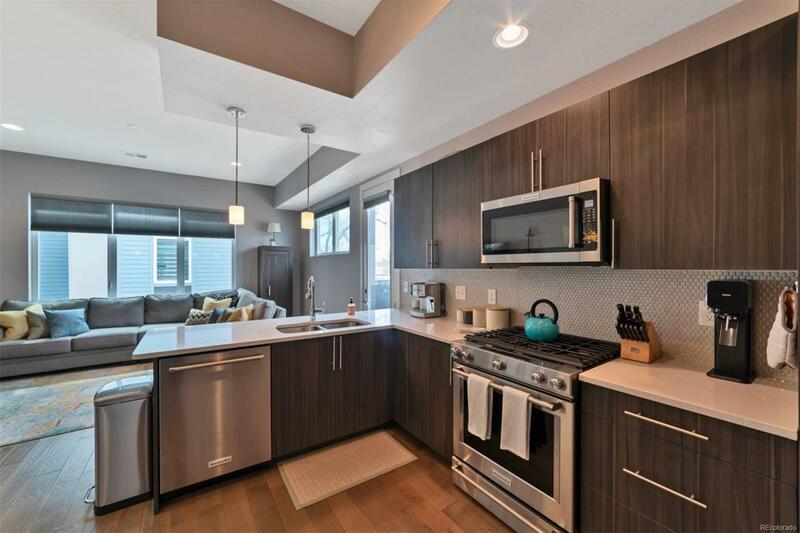 Spacious end unit with views of Sloans Lake and Downtown Denver. This gorgeous 2016 townhome has amazing upgraded features like; Kitchen Aid appliances, master bedroom built-in cabinets made by California Closets, home is wired for surround sound and much more! Tall ceilings and several windows keep this home filled with natural light throughout the day. Lightly lived in, everything is in new condition and well kept. Rooftop deck has gas hookups for the grill and comes with a new hot-tub. Views are spectacular of the city, you must come and see! Highly desired location, just 2 blocks to Sloans Lake, where you can canoe/SUP/waterski or enjoy the open parks. Walking distance to Tap & Burger, multiple coffee shops and restaurants, Little Man Ice Cream, and Alamo Drafthouse.